Louis Julienne has created an epic story of tension, tragedy and survival in his debut novel. 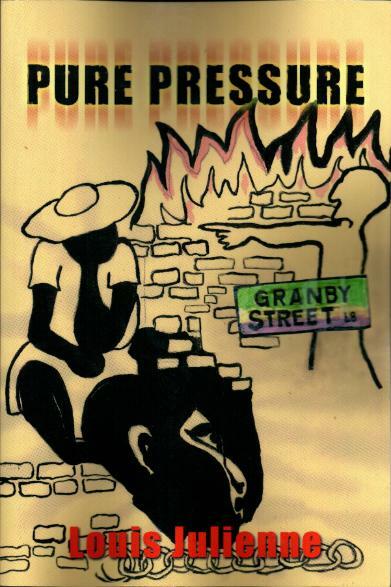 Set in Liverpool at the start of the Liverpool 1981 uprisings, PURE PRESSURE tells the story of matriarch Lizzie Leung and her extended family during that turbulent period and beyond. A widow and a born survivor who has raised her family against the odds, Lizzie Leung has overcome tragedy and guilt that prepares her for the turmoil that follows. This compelling saga is interspersed with rich and brilliant vignettes of an ethnically diverse community under attack from within and outside its boundaries, captured with keen wit and a knowing eye. Violent confrontations, political intrigues and historical perspectives acted out by characters that will stay long in your memory. Louis Julienne is a freelance journalist and management consultant. As fifth generation Black Liverpudlian, he brings a unique perspective to story-telling. His work is influenced also by his life-long civil rights activism and his many years work in the voluntary sector, where his work for project development earned him national recognition. He has published many articles and reports, and edited several publications, but this is his first novel. BUY NOW Option1 paperback £12+ £2.25 post and packing .